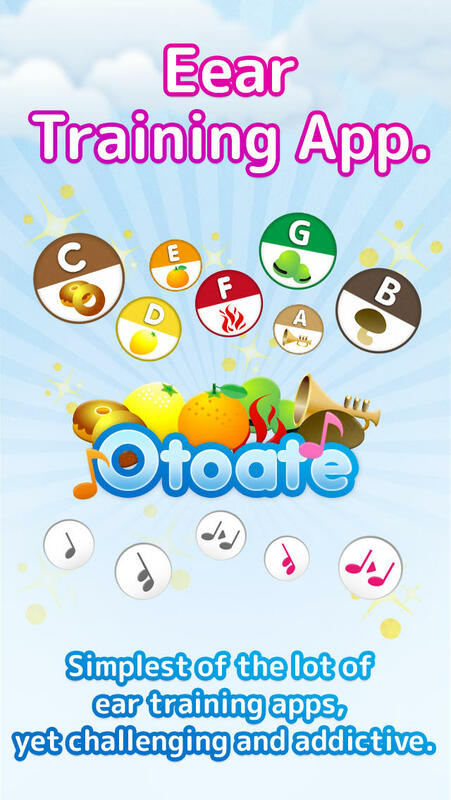 Here is the ear-training App that everyone wants! It's very simple but works great to train your ear. * Very easy to start, but becomes more difficult level goes up. * Tuned by absolute pitch holders. * Train your ear and reflex at the same time. 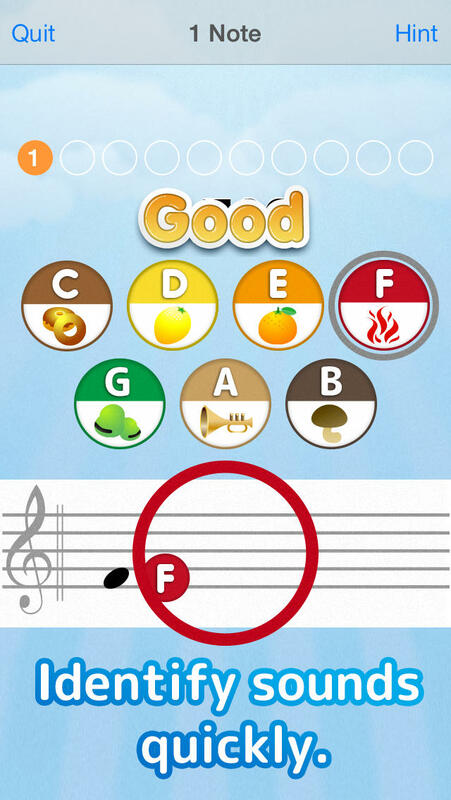 Hear a randomly given sound from CDEFGABC, and tap the key button indicating the note you think it is. You have 10 questions. Your score is the sum of the time you spend on 10 questions. - Challenge the more challenging game mode! There are 5 different game modes. You can challenge more difficult game mode by beating easy game modes. - Tell everyone your high level! Your level is qualified base on your score. The better you score, the higher level you will be qualified to. 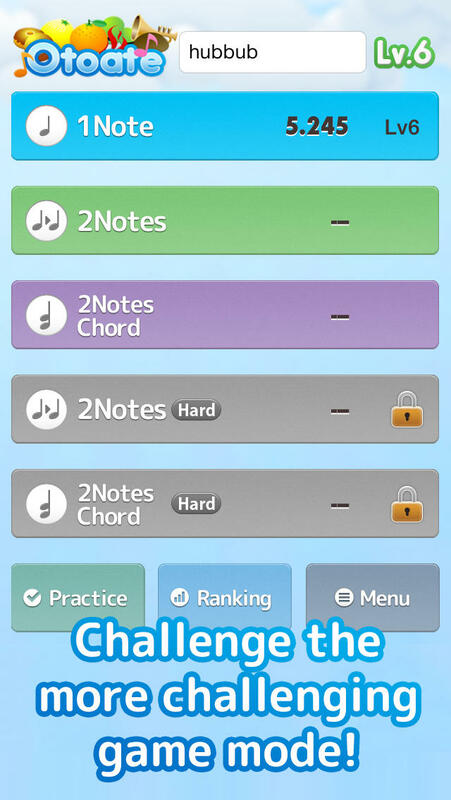 Each game mode has a different upper limit of levels, so challenge the difficult game mode for the higher qualification. - Go for the WR (World Record) ! Your game score will be reflected on Ranking when finishing the game. 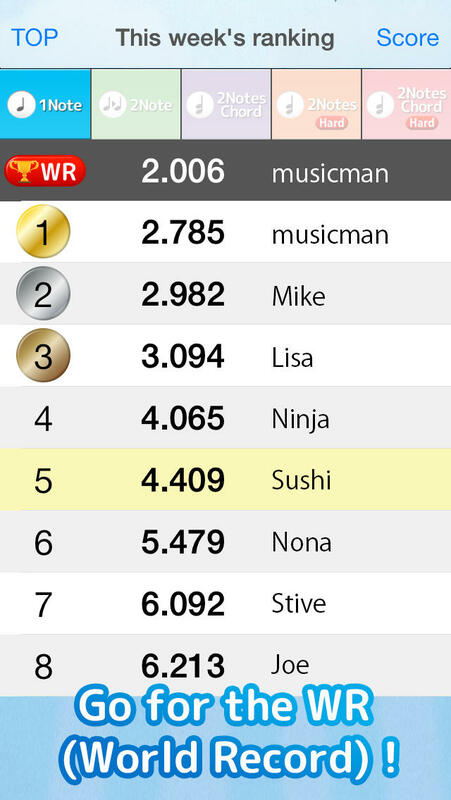 The ranking will be updated weekly, but the all-time record always appears as the WR (World Record). Compete with other users and get high in rankings!